Valentine's Flowers designed in Valentine's Vase. 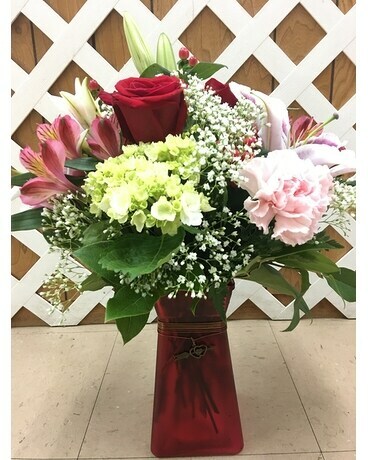 Flowers and vases will vary. Designers Selection of Valentine's Colors.